The holidays are great time of year as you spend time shopping for the perfect gifts and planning meals for your loved ones. To make sure all the details are perfect, your schedule is busy. You do not have the time for any interruptions. Nothing can ruin your festivities faster than an unexpected dental emergency. While no one ever expects to be in this position, one is six Americans will face one this year. If it happens to you, it is best to call your family dentist in Virginia Beach right away, despite the temptation to wait until after the holidays. Dental emergencies can take many forms, like a sudden toothache, lost restoration, or dislodged tooth. No matter the situation you are facing, it is best to call your dentist in Virginia Beach right away. Although you may feel like waiting until after your schedule calms down, it could result in the loss of your tooth. Time is of the utmost importance. How you respond to the situation and how quickly you receive the care you need will influence the long-term survival of your tooth. While you wait for your dental appointment, there are several things you can do at home to help promote the survival of your tooth. Knocked Out Tooth: Hold it by the crown and rinse it with water. It is best if you do not use any soaps or scrub it. If you can, reinsert it back into the socket. If you are not successful, it must be kept moist, so place it in a cup of milk. Dislodged Tooth: Gently try to push the tooth back into its correct position and bite on a piece of gauze to prevent it from moving. 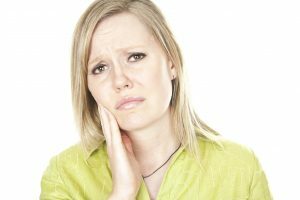 Toothache: A sudden toothache is often a sign of an infection. Rinse your mouth with saltwater and use over-the-counter pain relievers to manage your discomfort. Broken Tooth: Avoid placing pressure on the tooth and keep it clean. Cold compresses and anti-inflammatories can help to manage your pain while you wait for your appointment. Lost Restoration: Do not try to repair a lost crown or filling on your own. Instead, avoid chewing on the tooth and keep it clean. Home remedies can be used to help treat pain or sensitivity while you wait for it to be repaired. Broken Dentures: If your dentures or another oral appliance breaks, it is best to stop using it until after it has been repaired. Do not try to fix them on your own. If you have a sudden dental emergency, it is best to call your dentist right away to have the problem treated. With prompt care, you can get back to enjoying the holidays quickly. Smile by Design provides comprehensive family and cosmetic dentistry services to the community. We strive to provide personalized solutions while keeping your comfort in mind. With a commitment to our patients, we are always here for you—even during emergencies. If the unexpected happens, do not wait. Contact us today to schedule an appointment.